While in residence at Taliesin, Wright did business with the wholesaler Albert Dell German. In exchange for unpaid bills, Wright designed a new warehouse for German in Richland Center, Wisconsin. In Wright’s four-story structure, an intricately patterned concrete frieze foreshadows his more extensive integration of structure and ornament in his concrete block residences of the 1920s. His use of double-brick walls created a cold storage environment without mechanical refrigeration. 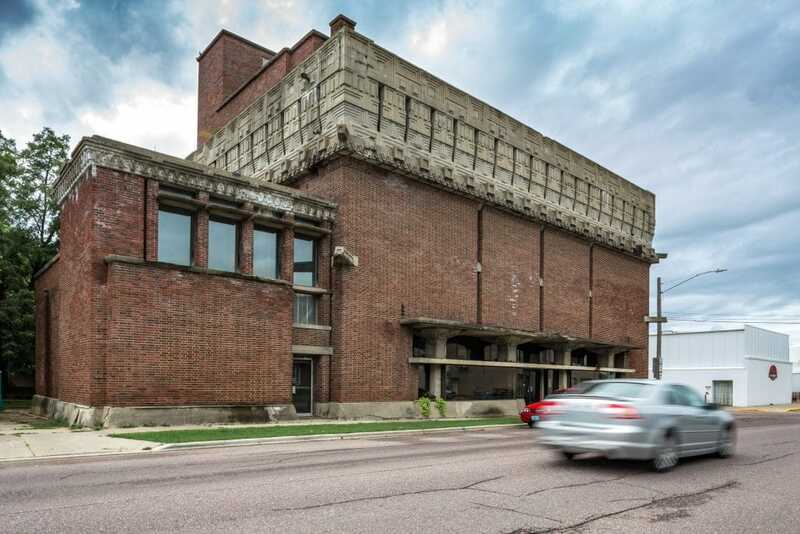 The projected $30,000 warehouse began construction in 1917. By 1921, with over $125,000 spent, German was forced to halt work and eventually lost the building through bankruptcy proceedings. The building was later used to store sugar, flour, coffee and tobacco, but has since been converted to house a gift shop, small theater, and a gallery of Wright’s work.